CNNMoney reports that 77% of Americans will pay more in 2013 with the average increase being $1,257. Doesn’t matter whether you make less than $10,000 a year or more than $1M, you are paying Mr. Obama for his socialization of America. Expect less in your paycheck in the months and years to come. 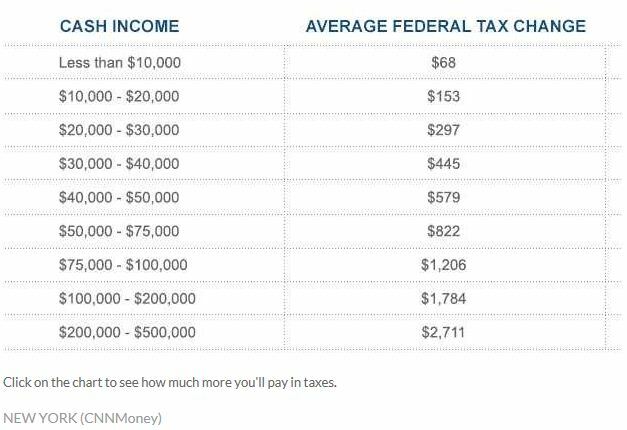 As usual, the rich always pay more and have always paid more with this new tax costing them $170,341. I say, “compromise” because there was no compromise. The Democrats got what they wanted – raising taxes on every American with a pulse, while the Republicans didn’t get anything they wanted – spending cuts. All I can say to Democrats everywhere that voted for Obama is….HAHAHAHAHAHHAHAHA. Jokes on YOU suckers! We’ve been warning you for years that socialism is expensive but you sucked down the Kool-Aid and now you gotta start paying for it. And you better prepare for even more money to be taken from you by Mr. Obama. Do you have any idea how expensive it is to promise everyone free money so they keep voting for you and your political allies? It costs a fortune, and you are gonna have to pay for it! You were fine as long as only the rich had their money stolen from them, but suddenly seeing it come out of your paycheck makes it a tragedy? Morons. Use common sense. If you have a Government that wants to provide more and more services to its citizens for free, which it does in exchange for votes…how can it ever cut anything? Cuts are not an option. All it can ever do is raise taxes. They will villify the rich so you will support their plan on raising taxes, meanwhile they will raises taxes on you and the rich while increasing spending so they can get re-elected. 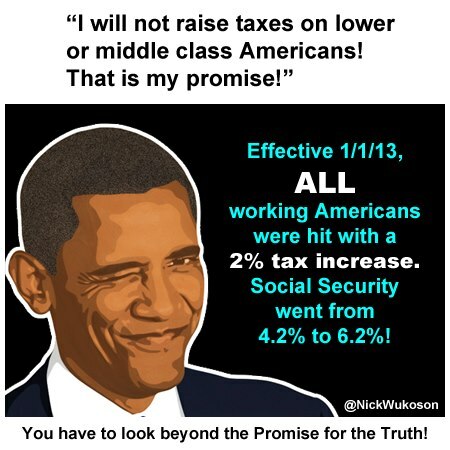 And just like the fiscal cliff “compromise” it was all tax hikes and no cuts. When the Democrats do talk about cuts, they only mean cuts to budgeted spending. For example, if the Department of Education is authorized to spend $1M on pay increases for its employees, it spends $500,000 instead. To a Democrat, that is a CUT in spending. And that is EXACTLY what they mean when they use that word. To us, it still means increasing spending, just less of an increase than planned. Our deficit still goes up. Our debt still goes up. So that is NOT a cut. To see our future, Obama’s future for us, we need only look at France. France is the corporate fascist dream that Obama strives for every second of every day. France has a very large welfare state with very high taxes and very liberal regulations on employers controlling wages, vacation time, etc… This Government yoke on business that destroyed their free market had the usual and expected effect of stifling growth, destroying innovation and lowering the standard of living for everyone in France. When forever increasing taxes on the wealthy did not improve this situation, the socialist politicians in France did the only thing they could, raised taxes on the wealthy even more, now up to 90% of their income. This too will fail, but that doesn’t matter. The voters in France only care that the Government continues to redistribute the wealth from the producers to the consumers. That is all that matters, to French voters and French politicians. Obama’s plan is no different. Obama and our Government fully intend to keep raising taxes on us and the wealthy until the economy has been destroyed to the point that everyone must either work for the government, rely on some form of government aid, or needs government tax credits just to get from paycheck to paycheck at which point everybody will need to vote for more government, even if they don’t want to, just to survive. That is the plan. If you’re still not sure, then you should know that Obama just appointed Esther Dunflo, a French economist, to the Global Development Council, a group Obama created in 2010. To Obama, being France is the pot at the end of the Socialist rainbow. But hey, this is what Americans voted for. More Government. More Taxes. More Spending. Less Income. Jokes on you. And Obama is just gettin’ warmed up.